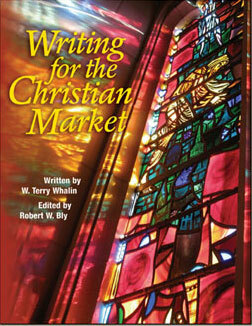 W. Terry Whalin was first published in the Christian market over 35 years ago. Terry has been a book acquisitions editor for Howard Books and David C. Cook. Now he is an acquisitions editor at Morgan James Publishing. The acquisitions editor is the first person to read the submissions to a publishing house and then champions the author's project in front of a room of publishing executives. Terry knows the inside scoop on what publishers want from writers. Terry has also been a magazine editor atIn Other WordsandDecision, the official publication of the Billy Graham Evangelistic Association. He knows the inside of the Christian magazine business. As a writer, Terry has published more than 60 books with traditional publishers such as Zondervan, Bethany House, Moody Press, Tyndale House and others. Terry is a popular speaker at writers conferences and often teaches about magazine writing and book publishing. "Terry Whalin has written an informative book to help people navigate the treacherous waters of getting published. An indispensable tool for new authors." "With years of experience as an author and an editor, Terry Whalin has written a book that can help any writer.Book Proposals That Selloffers great advice on building the nonfiction proposal and also explains the inner workings of the editor's and publication board's role in acquiring a new book. Novelists, too, will find this background information very helpful. All authors need to understand the uphill battle they face in selling a book before they can be fully prepared to submit their absolute best proposal or manuscript. Whalin's book lays out what they'll face--and then shows them how to win the battle." "As a successful author and acquisitions editor, Terry Whalin knows why some proposals bring publishers to attention and why others put publishers to sleep. Heed his advice and your next proposal just may be your break-through." "Many beginning book writers complain that it’s harder to write the proposal than the book itself. Until they know how, that’s probably true. Terry Whalin knows the secrets of good book proposals. As a writer, he’s composed many book proposals; as an editor, he’s read hundreds of them." --Cecil Murphey, writer, co-writer, or ghostwriter of more than 100 books including90 Minutes in Heaven. "In the often bewildering world of book publishing, aspiring authors need more than desire, creative skill, and something worthwhile to say. They also need a road map. My friend Terry Whalin offers a map even Rand-McNally couldn’t top. If you have any inclination toward getting a book published, you’ll do well by studying this book first." "If every proposal I received followed the rules ofBook Proposals That Sell, my job would be a lot easier! Whalin has produced an indispensable tool that is both practical and powerful." "How does one get a foot in the editorial door? Publishers want to see a clear, direct, and well organized book proposal. Without one, most will not get a second chance to make a good first impression." Terry Whalin has written scores of book proposals. And, as an acquisitions editor at two publishing houses, he’s read his fair share of proposals. Now he shares his wealth of knowledge in succinct chapters brimming with pointers. This is a valuable step-by-step guide to doing a book proposal. It tells would-be authors what agents and editors look for in book proposals, with advice on how you can tailor your book proposal for the market at which you’re aiming. As an agent, I’ve read Terry’s nonfiction proposals and have always been impressed. He knows how to put together a winning presentation to capture a potential editor’s attention and get a decision. InBook Proposals That Sell, Terry combines his compassion for writers with his considerable publishing experience to create a must-have book for anyone preparing a nonfiction proposal. A well-written book proposal gains attention, piques interest, and provides the information an editor--and later the publicity department--needs to convince not only his editorial staff but the whole publishing team. Terry Whalin provides the know-how to add sales appeal to any book proposal. If that's not enough of a reason to get started right away - I don't know what is. But, if you're still looking for a reason this is "too good to be true" - you're covered by our "100% Love-It-Or-Leave-It Guarantee"
Your success in using Writing for the Christian Market is completely guaranteed. If you're not absolutely ecstatic and thrilled when you get this ebook - for any reason at all - we'll cheerfully refund your money. No headaches, no hassles and no weasel clauses. You've got two full months to check it out! Besides Writing for the Christian Market, you will receive two audio CDs which Terry recorded before a live audience at a Christian writers conference. Maximizing Your Potential is about how to see opportunities in your life and turn them into writing for the Christian market. Terry explores the wide range of possibilities in this audio. What a Publisher Looks for in a New Book Idea taps into Terry's broad experience in the Christian book market. See the ideas from the editor's perspective then take that insight to shape your own idea into something the publisher "must have." Normally these audio workshops sell for $16 but they are absolutely free with any order of Writing for the Christian Market. Terry Whalin offers his broad knowledge of this business--from both sides of the editor's desk--make him the perfect resource for helping you. Traditional publishing is shrouded with mystery. Terry Whalin peels back the curtain to give authors an inside look at what a writer needs to provide a publisher. Following his advice will give you the edge you need to create a slam dunk proposal! A tremendous book with crisp, concise and insightful advice that make this an invaluable resource for every writer! Ignore his counsel at your peril. Writers who are serious about getting published need more than talent. They need the inside scoop on what really goes on in publishing. Terry Whalin offers insider information for writers at every level. -- Vicki Caruana, teacher and author of the best-sellingApples & Chalkdust. With practical know-how and tons of proven tips, this book is like that wise friend who's been in the business, knows what works and why. Step-by-step, Terry Whalin guides and inspires both beginners and even experienced writers to doing better, successful, meaningful work. How do you combine your spiritual passion for God with your love of writing? In the pages of Writing for the Christian Market, I will show you the insider perspective from my intimate involvement in Christian magazines or books with dozens of opportunities. which are worth your money and time? Page 46. Where are various markets for your Christian writing? Page 29.
the blank page. Page 7.
do with you and your submission. Page 11.
magazine area than with most books? Page 4. What is the average number of for a first printing? Page 4.
before your first book? Page 19.
experience before you can be published? Page 19.
break into Christian writing? Page 24.
send it to an editor or publication? Page 26.
when you write for the Christian market? Page 2.
you can follow each one of them. Page 68. Where can you sell your devotional writing? Page 38. Christian writers conference? Page 46. What are the three keys to a successful interview? Page 13. You've probably been told, "You should write a book." Millions have been told that information but don't know how to combine the spiritual part of their lives with their desire to get into print. Now you can have both with Writing for the Christian Market. To enter the publishing world you will need a combination of talent and the right pitch or skills. I can help you with the skills part and you bring the talent. see in a book idea from a new author? Page. 49.
give you a book contract for your book idea? Page 53.
magazines and 17 new card/ speciality markets? Page 24.
rejected and how to overcome those rejections? Page 53.
market? You will not expect the answer on Page 17.
can see specific examples beginning on Page 19. Christian market and locate new writing markets? Page 24.
submit it to a magazine? Learn the five keys on Page 25.
appear in your library or outside your local church? Page 31.
markets can build creditibility with your editor. Page 33.
getting on this list. Page 10.
to get one to represent your work. Page 57.
you locate a publisher for your idea? Page 39.
magazine articles for the Christian market? Page 35.
in the Christian marketplace? Page 43.
you can sell? Page 64. Where do you find a skilled mentor to teach you about the different opportunities in the Christian market? ...more than 224 million Christians live in the United States and over 2 billion worldwide. ...there are more than 1,200 Christian markets including magazines and book publishers.Sales of religious books rose modestly in April 2011—the fourth month in a row of increase for the category, according to the Association of American Publishers (AAP). Compared to the same period last year, April's sales for religious books—in all print and digital formats—increased 2.5% to $48.5 million. In April 2010, religious books sales totaled $46.6 million. Now I want to help you thrive in this marketplace where you will be able to combine your Christian passion with your desire to write and make a living. For almost three decades, I've been writing for various Christian magazines and book publishers. I understand this world as a writer who has worked with editors atChristianity Today,Charismaand many other publications. I also understand because I was a former magazine editor atDecision, circulation 1.8 million copies. During the last 15 years, I've written books with publishers like Bethany House, Broadman & Holman, Zondervan and Tyndale House. Then for five years, I've worked inside two different publishing houses and now I'm a book publisher. I've worked in many different parts of this marketplace.